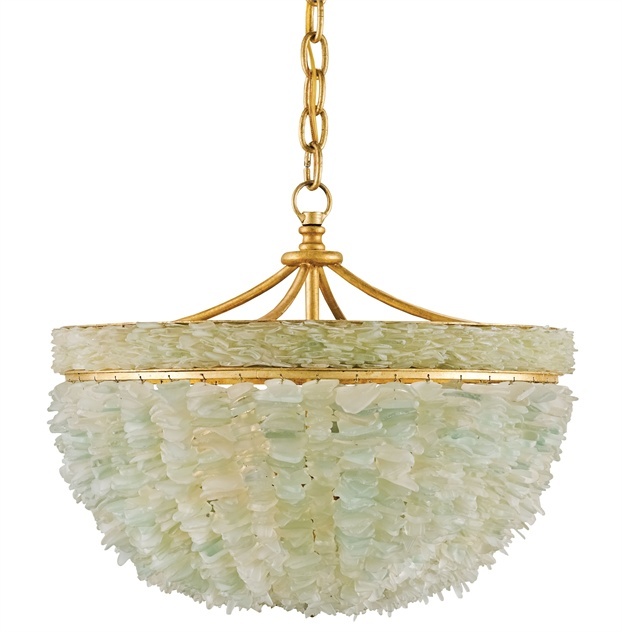 A generous clusters of tumbled Seaglass cast an enchanting glow, filling your room with an aura of peacefulness. The frosty aqua tones of the glass embellishments pair beautifully with a simple Contemporary Gold Leaf bowl-shaped frame, designed to showcase the unique natural materials. Measures: 19" diameter x 16"H, and takes three 60 watt bulbs(not included) for a total 180 watts.